Tiggerific Tuesday Trivia -- This Day in Disney History! Tiggerific Tuesday Trivia — This Day in Disney History! Hello everyone, and welcome back to another edition of Tiggerific Tuesday Trivia, the weekly series that shares some interesting Disney Trivia with you! Along with my co-hosts Jodi from Magical Mouse Schoolhouse, Heidi from Heidi’s Head, and Jenn from Disney Babies Blog, I am Mike from My Dreams of Disney! This week’s trivia comes to us from a very unique site called This Day in Disney History. This site is incredible, with all sorts of neat historical factoids about Disney! Go check it out after you look at all of our entries! 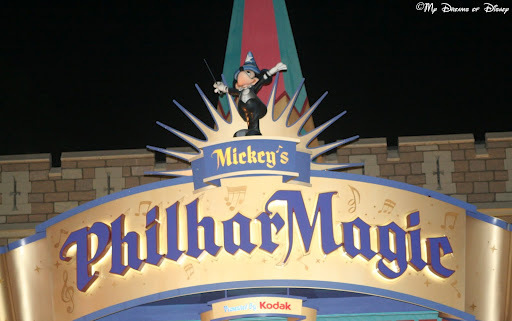 official grand opening in the PhilharMagic Concert Hall at Walt Disney World’s Magic Kingdom. Pop idols Howie Dorough of The Backstreet Boys and Joey Fatone of ‘N Sync are on hand for the premiere. Walt Disney’s Grumman Gulfstream 1 makes its last flight when it touches down on World Drive, west of Disney-MGM Studios (today known as Disney’s Hollywood Studios). To be added to The Backlot Tour, the airplane was used to fly Walt Disney on secret scouting missions over Central Florida when he was looking for the perfect spot to build a second theme park. That’s all we’ve got this week on Tiggerific Tuesday Trivia! I hope you all will check out the rest of the entries, and check back with us again next week! Have your own Disney trivia and a blog? Why not write it up in a post and link it with ours! Very interesting information this week, Mike. I’ll have to check out that website. Thanks, Heidi! That site is a great source of information! Previous Post: Congratulations Michelle W.! Next Post: My favorite place for watching the Magic Kingdom’s Wishes Fireworks show!